1b. Did I construct this building on a swampy soil (for contractors? 2. Is my house built on a non swampy soil? Now if you've asked and answered the above questions, I'll be glad to explain things about filling sands. If you are building on a swampy soil, water logged area, then its best you buy Sharp sand for the filling. Why Should I Use Sharp sand For Filling? Sharp sand has a weak capillarity, when well compacted, the capillarity is so weak, the water won't be able to rise to the super structure easily. When Should I Use Laterite/Red Sand for Filling? I recommend you use Laterite if the entire area is dry and free from flood. Check ground/earth wells, inquire from Bore hole drillers to be able to know how far the water table is from the surface before you use Laterite for filling. 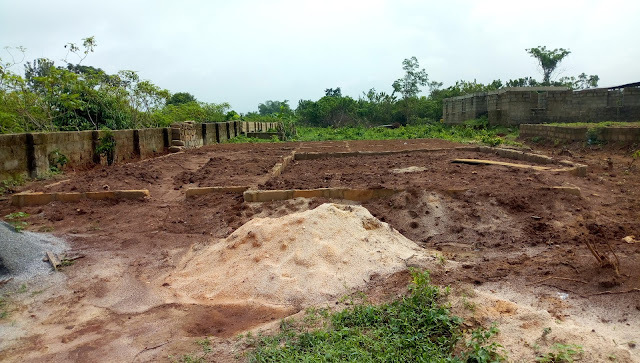 This is because if you apply Laterite which is quite high in capillarity in an area where the water table is quite close to the surface, during the wet season, you'll notice some swellings around the building. These swellings are usually observed just after the DPC. You'll just notice the paint is almost wearing off even though its just a few months after painting. This spoils the beauty of your home and also weakens the foundation since swelling would bring moisture to the super structure. 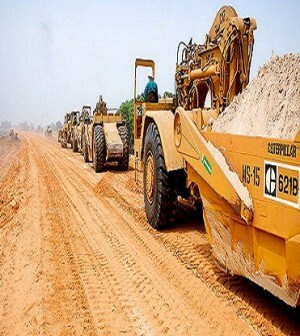 Truth is, Laterite can be used, sharp sand can be used too but then again, if you follow road constructions processes closely, you'll notice that sharp sand is usually used around coastal areas (areas that are probe to flooding or swampy area while Laterite is used on dry areas. For instance, in Delta State, Nigeria, we have dry areas like Agbor, Abraka, Some part of Effurun, etc. 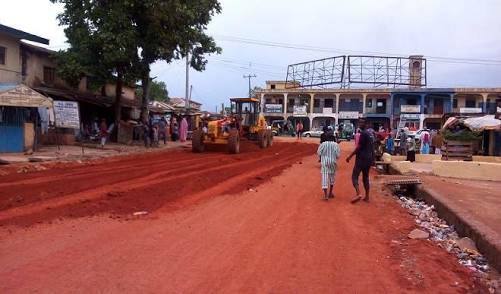 Now roads on this part of the state are levelled with Laterite but along the riverine areas like Patani, Burutu, Gbaramatu, Bormadi, you see construction workers applying Sharp sand. That is not a coincidence. It is because of all that i have explained above. Well. I've discussed on The best type of sand to be used in Filling. Its now left for you to make the right choice. Don't forget to build for stability, build for longevity and not for aesthetics alone. Thank you a million times for this super enlightening information. I am about to begin the foundation of my house at a swampy area.